A 30th anniversary calls for an amazing fete and this is exactly what Weddingbells Magazine did on April 1 when they celebrated their big 3-0 at Toronto’s Design Exchange. I had the pleasure of covering the beautiful event as a multimedia reporter alongside an amazing camera crew. 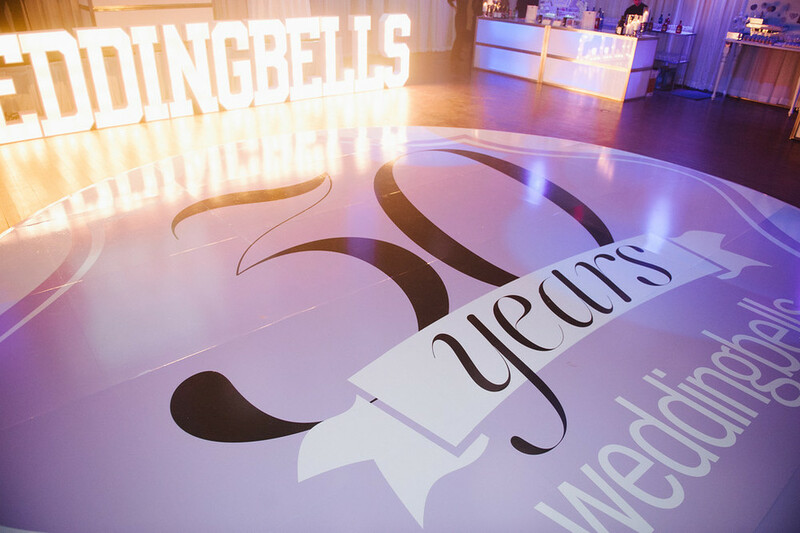 Also, a huge congratulations to Alison McGill, editor-in-chief of Weddingbells, on a successful evening and a successful 30 years! The party included tons of amazing decor and culinary details. Delicious food, custom cocktails, a five-tier wedding cake, 30 flavours of macarons, a candy bar, a manicure bar, hair styling, an aeralist, salsa dancers, incredible tunes plus amazing prize giveaways from Maison Birks and Atlantis Paradise Island, Bahamas. The night was absolutely spectacular and I'm honoured to have been in attendance. It felt like it was Weddingbells Magazine's wedding! All photos by Wedding Editorials. Video by In the Moment Productions.